Bright lights. Overcrowded fixtures. Bad, bad, clothes. Everywhere. This is often the situation when you enter a Forever 21 store. The sheer number of bad pleather leggings and neon animal-print blouson tops is enough to send any fashionista running the other direction. However, the recessionista looks beyond the piles and racks and rows of bad, to the hidden, unexpected gems that lurk just on the other side of that pair of red denim hot pants. It takes skill, believe me. There are so many things in F21 that look great on the hanger and terrible on your body, but also plenty of things that look questionable until you try them on. The honest fact too, is that F21 is a hit or miss situation. I've walked in there, looked around and walked out empty handed in under five minutes many times. But every now and then, I go in, find two arm-fulls of potential deals, and walk out an hour and a half later, $100 poorer and utterly pleased with my new purchases. 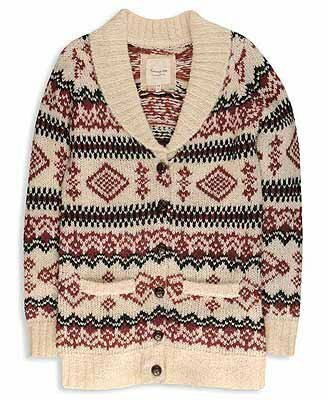 I saw this fair isle cardigan in a sea of mountain/plaid/woolly items. It was buttoned all nicely - and hanging up completely out of my reach. Seriously, so high up. Leave it to F21 to put everything I want most in as difficult a place as possible. Hoot, hoot, this was a no-brainer. I love a good piece of animal jewelry, especially when it's only $6. 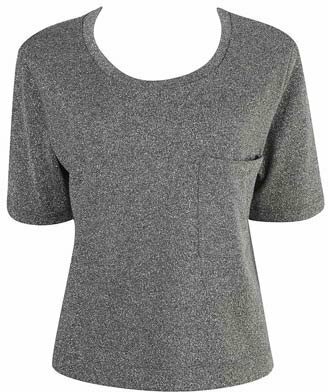 This sparkly little tee was also hanging way out of reach. I had to jump and tug and it was a huge production. Anyway, it was totally worth it. Ray Ban aviators; BDG flannel from Urban Outfitters; F21 cardigan; grey deep V t-shirt from American Apparel; ski leggings; ski socks; Hunter Wellington boots. F21 top; BP long tank; homemade cut-off 7 For All Mankind jorts; Urban Outfitters floral tights; Target ballet flats; Zoey. Feeling inspired to make a run to your nearest F21? I've found a lot of fun, funky jewelry there - for cheapity cheap cheap. Also a good place for New Year's Eve type tops... sparkly things you'll likely spill booze on and never wear again ! A good chunk of my closet is from there and an even bigger chunk of my jewelry collection. The quality is never great, but considering the prices you can't complain. I can't bear to spend a lot of trendy pieces that I won't like in a season or two, so F21 is the perfect place for that. I love that ring! I must have it. The owl ring!! I have him too and because of that ring, I'm now obsessed with owls. In fact, I'm wearing it now. I've gotten tons of compliments on it. Super great looks! I love the ring! I buy accessories from there like jewelry or hats. Otherwise, I don't buy clothes. These looks are fabulous! While I hate shopping in the store at F21, I LOVE shopping online with them! I'm having a contest on my site Beauty and the Budget (an onsugar blog) if you'd like to participate. It's for a $35 gift card to Forever 21! These looks are fabulous! I'm having a contest on my blog, Beauty and the Budget, for a $35 gift card to F21. You should submit an entry! I feel the exact same way about charlotte russe. every time i go in there i find NOTHING. and then I ask my friends where they get their cute outfits? "Charlotte Russe!" they reply. they have cute stuff, but I find it's easier to ind it in the smaller stores. The one at the mall near me is a two story place that vomits piles of clothes, and I can't find anything! It's too overwhelming. The one 15 minutes away is a decent size and it' easier to browse and find things, even though technically it has less merchandise. Well, this is an expected experience. I have a lot of clothes from F21 and not all are poor quality... you just have to spend time looking beyond 97% of ickyness. When you get past the way-too-short unflattering dresses and lime green pleather leggings and burlap sack-like tops, you can find some really cute stuff. I've always gotten my peacoats from F21 and get lots of compliments on them. am i the only one that thinks the outfit this person put together is rubbish? If you want good things for cheap prices, then the rest of the price is spending time looking and trying a lot of things. I have a few great F21 pieces, including a cashmere blend (!!) cardigan and trendy knit tops that are exactly right for me. Caterpillar Girl - I agree. I hate going into the Forever 21 Store - so disorganized, filled with teenage girls and bad music. I have decent luck at the online store if I want something trendy. Luv the Fair isle Cardigan and the owl ring is unique! Last summer, I went to F21 to find a v-neck white t-shirt. After going through several untidy piles, I found several styles of white tees, including a burnout tee, which was only $8! I agree with everyone else that the shopping takes a while, but I would rather have a couple of great things to wear alot than something I bought on impluse and I will never wear and will end up in the back of closet.